Get outside and explore the great free parks around Atlanta in this rousing outdoor scavenger hunt for teams. 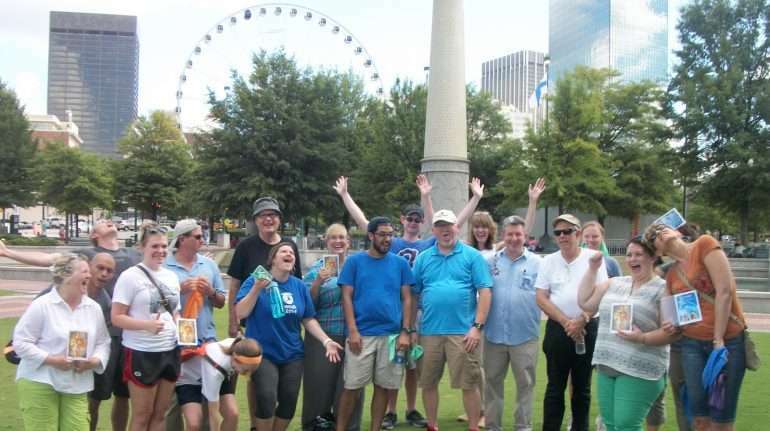 This exciting outdoor scavenger hunt gives your team an opportunity to explore one of Atlanta’s amazing parks. Armed with a tablet or smartphone as your guide, teams race to earn points by solving clues, taking pictures, answering trivia, and completing surprise challenges. While they travel, teams can see where other teams are on their GPS map, know everyone’s score, and send text messages for added fun. Welcome & Warm-Ups (5-10 minutes) Our staff welcome the participants to the park and get everyone ready for a great team building scavenger hunt. We then lead some fun warm-up activities that also randomly create small teams. Team Up! (5-10 minutes) Teams take a few moments to create an outdoorsy name and slogan for their team, and build some team spirit and unity. Route Hints: In their iPads, teams have a list of hints they can solve to find secret hotspots around the park where trivia and other challenges will pop up. Photo Missions: These are fun shots teams take of themselves with various features in the park, like hanging out by the lake, admiring or imitating statues, appreciating wildlife, and other outdoor experiences. Live Footage: These whacky video projects will get the outdoorsman (or woman) laughing as they try to film scenes such as Hanging with Bigfoot, The Croc Hunter, and Alien Encounter. Questions: At several hotspots around the park, the app will give teams timed trivia challenges about the surrounding area. Quick thinking and teamwork are key to getting high scores! 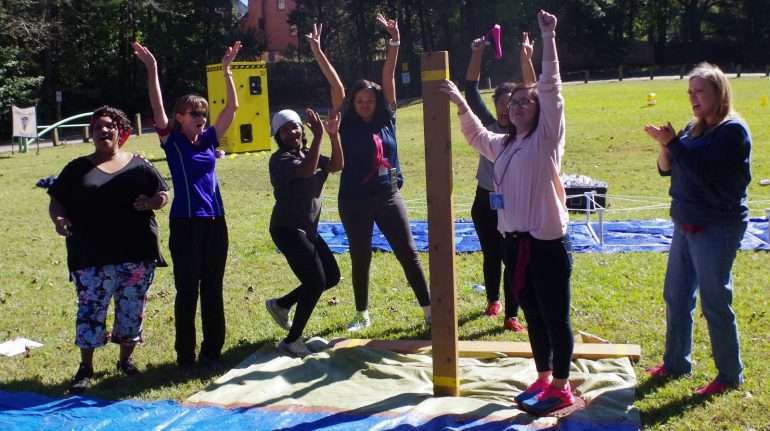 Wildlife Encounters: Teams have the opportunity to do these bonus challenges whenever they find an Atlanta Challenge facilitator in the park. Puzzles: We want the brainiacs on your team to have fun too, so we include natural themed brainteasers, park trivia, Atlanta trivia and other mental challenges. Scoring (5 minutes) The teams meet up to turn in their materials, then the final scores are dramatically revealed. After Party Slideshow If you want to have a more celebrational wrap up to your team scavenger hunt, or just run pictures during dinner, we can provide a website link so that your team can immediately view photos and videos from your event. 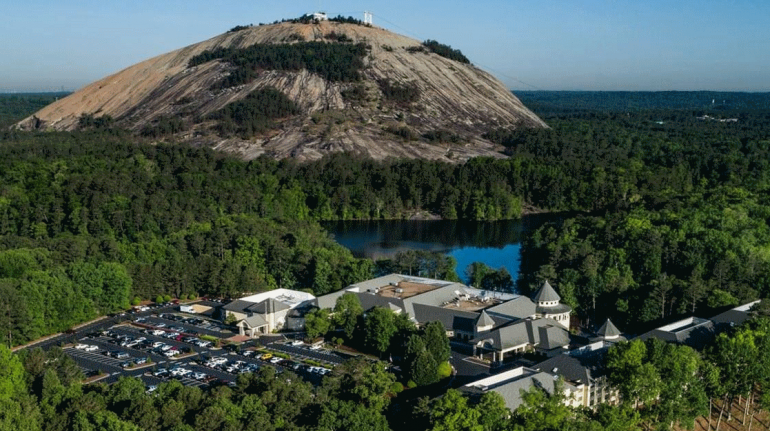 Explore one of Atlanta’s great parks. "Thank you so much for putting a great event together! Everyone really seemed to have a blast! Y’all did a wonderful job, and we appreciate it."